Starbucks is to launch its biggest drink size to date, called the 'Trenta' cup, as it looks to pinch market share from its rivals and entice customers. The rollout of the Trenta cup follows a trial in the US last year. Starbucks said it had no plans for the bigger size cup to come to the UK. The 31-ounce cup size will be available only for cold drinks, including iced coffee and iced teas. It will cost around 30p more than Starbucks' current largest Venti cups. 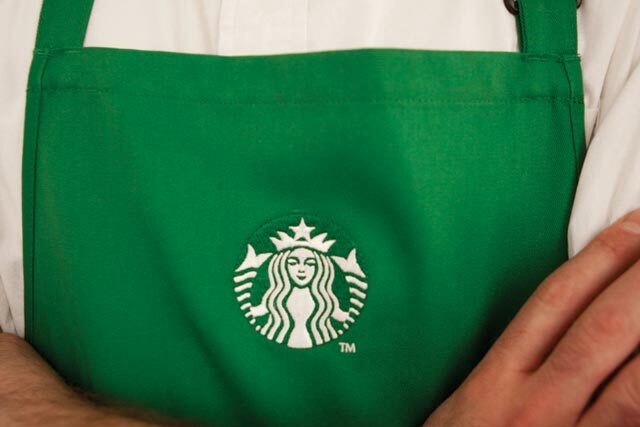 In the UK, Starbucks faces competition from other cafe chains such as Costa Coffee and Caffe Nero. Rival McDonald's also wants a slice of the market and is launching its own lattes, cappuccinos and frappes. Earlier this month, Starbucks unveiled a revamped global brand identity as part of its plan to mark its 40th anniversary and expand the brand beyond its coffee business.